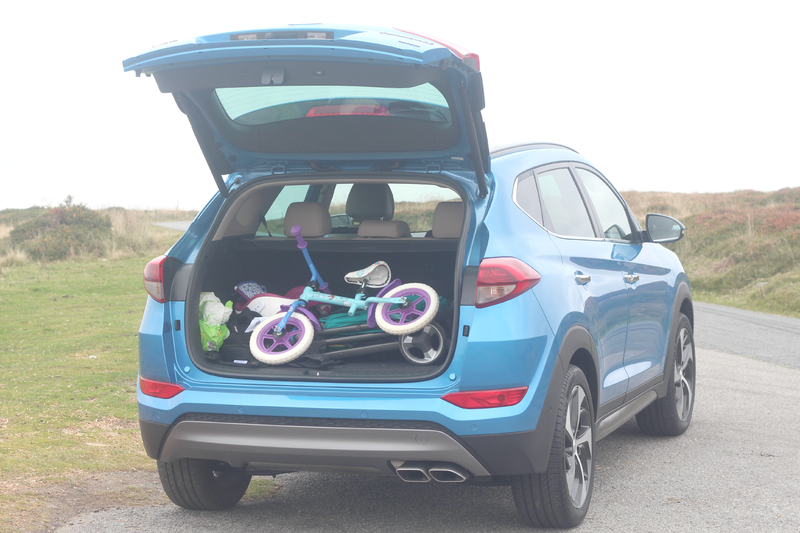 If you follow us on social media you may have noticed that we were very lucky to experience the All-New Hyundai Tucson SUV last month and today I'm going to be sharing how we got on with it on the Welsh country roads from a mum's perspective and how it shapes up to the demands of family life with two young kids. 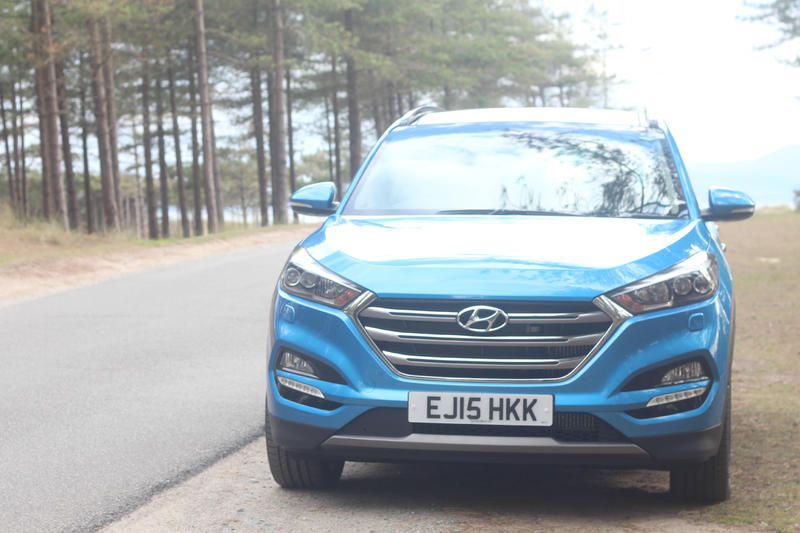 After a few emails and phone calls back and fourth the Hyundai Tucson was delivered bright and early one morning whilst Amelia was at school. When it arrived I was probably more excited than I should have been and my neighbours most likely thought I had won the lottery seeing it parked up on our driveway. 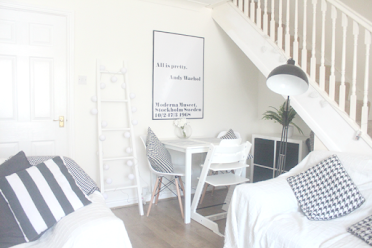 On first impressions it didn't seem as big and daunting as I had initially thought which was good as I wasn't so keen on the idea of being high up but it was the perfect size for our family. 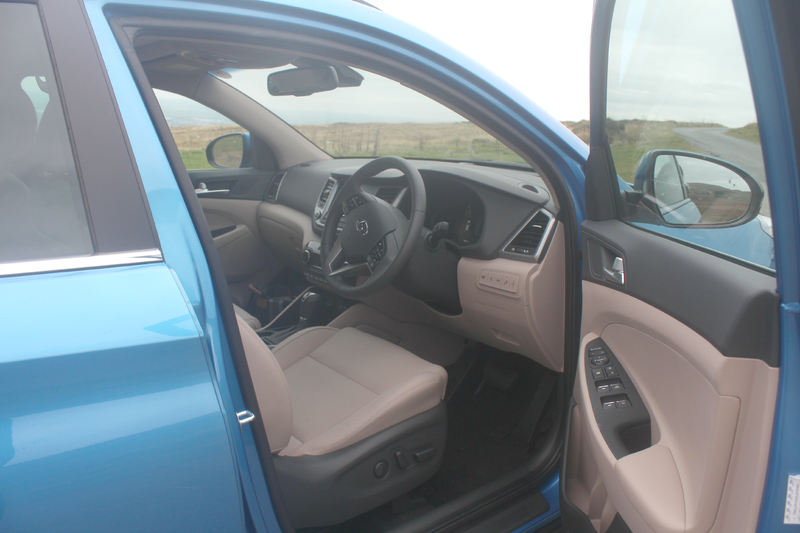 The interior is very modern with beige leather and heated seating, and it felt so nice to be in a new car for someone who's always bought a car with a previous owner. I decided this would be the perfect opportunity to test it out and rather excitedly took the car seats out of my not so shiny Peugeot 206 and set off. This is the moment when panic mode set in and I realised it was in fact an automatic. I'd never driven in automatic before and hadn't the foggiest idea what on earth to do especially with all of the fancy buttons and of course I didn't want to break anything with it being a brand new car! It hadn't even done 2000 miles when it arrived. 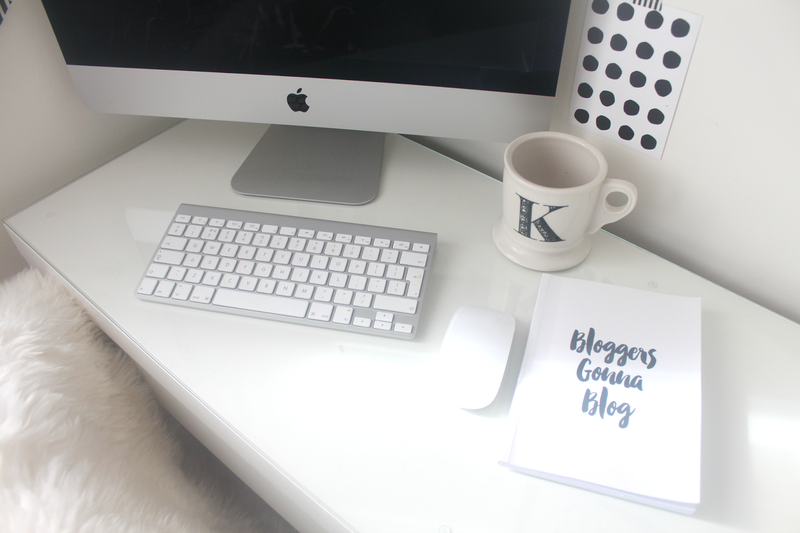 Once I finally figured out how to get it going it was actually pretty simple, in fact after the first day I didn't ever want to drive my car again! I picked Amelia up from school and off we went on a little adventure to put the car through it's paces instead of just driving around the town and to get used to it a bit more. I was dying to try out the navigation and sports mode so off we took onto the duel carriage way down the coast line. 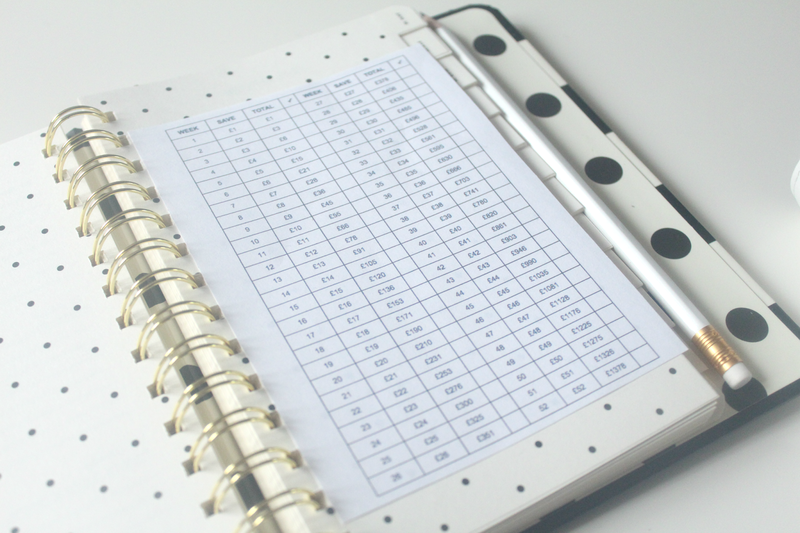 The navigation was really easy to use and was super handy instead of fiddling around with our handheld sat nav or phones, I will really miss using this. The drivers seat is fully adjustable which is great if one of you are a lot taller than the other. I really liked the automatic buttons as I'm used to a manual leaver in my car. We didn't actually have much planned the week we were testing the car out and the weather was pretty awful too but at the weekend I've been trying to make the most of the days when Amelia isn't in school and getting out with both of the kids and we usually always go for a walk somewhere. 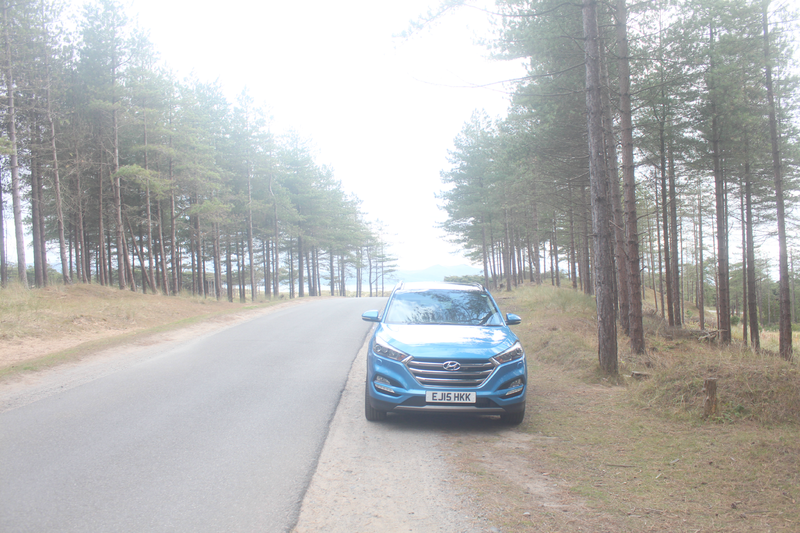 I decided to take a drive to a local forrest near by which we visit regularly, it's great in the summer as it's right next to a beach so we often go for a walk before heading onto the beach to cool down. 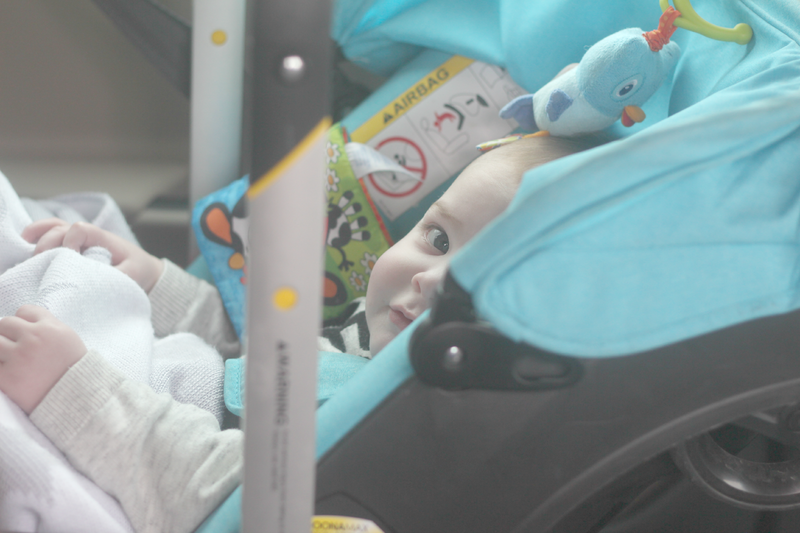 On the Saturday morning I packed up the car with Amelia's balance bike, the pushchair for Harry as well as the changing bag, as you can see the boot is a pretty decent size which is great for families. I wasn't used to having so much space compared to our previous cars. 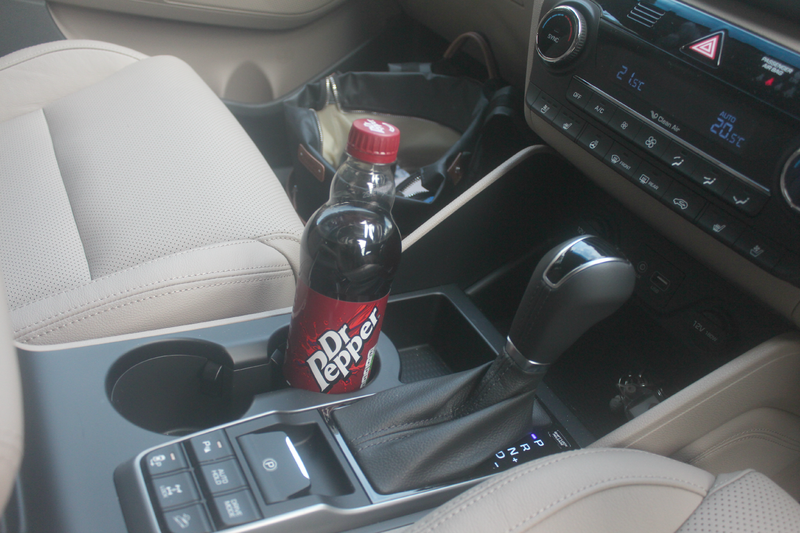 I was amazed by the automatic boot and loved using this feature. My only concern would be if you had small children about and they suddenly put the hand underneath before it shut, perhaps there's a safety precaution for this in the manual to turn off. The button is high up so luckily only an adult can reach them to close it. I think my favourite feature of the Tucson hands down has to be the rear view parking and the fact that the car can park itself!! Sounds impressive right! I'm completely sold on this feature alone! I was a little apprehensive when I read about that at first but true to it's word it does actually park itself. Which is AMAZING if like myself you've never parallel parked since passing your test 6 years ago! The rear camera is super handy at night time if you're trying to reserve park as the lines come up on the screen and the car beeps if you get to close to another object. I must admit I was absolutely petrified trying out this feature as I was worried about hitting another car but it reversed, changed gears, the wheel spun around and it parked it's self. I was impressed as was everyone else I showed this feature to. If you have a fear of parallel parking like myself this car is for you! There's plenty of room inside for us as a family with two young children and as Harrys car seat is pretty big you could definitely fit three standard sized car seats in the back. 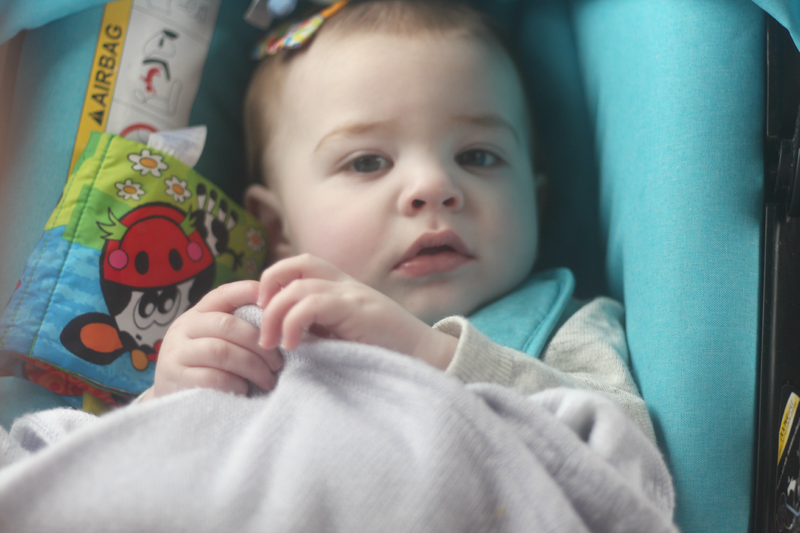 There was also plenty of room for Amelia to kick her feet unlike in my car where her feet are always rested on my seat which can be pretty annoying as we all know kids like to kick the seat when they get bored. I love the pull down arm rest as it also has cup holders which is great for older kids on longer journeys. 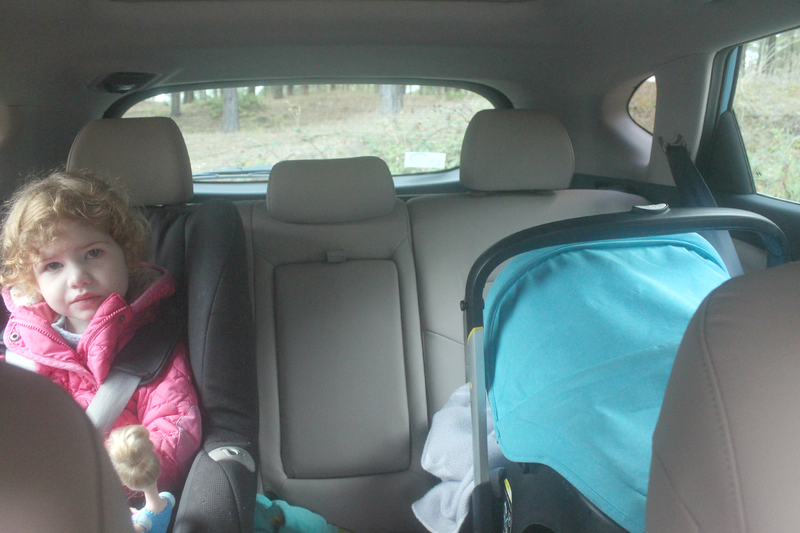 There headrests are also big enough to hold iPad holders to keep the kids entertained on long journeys too. 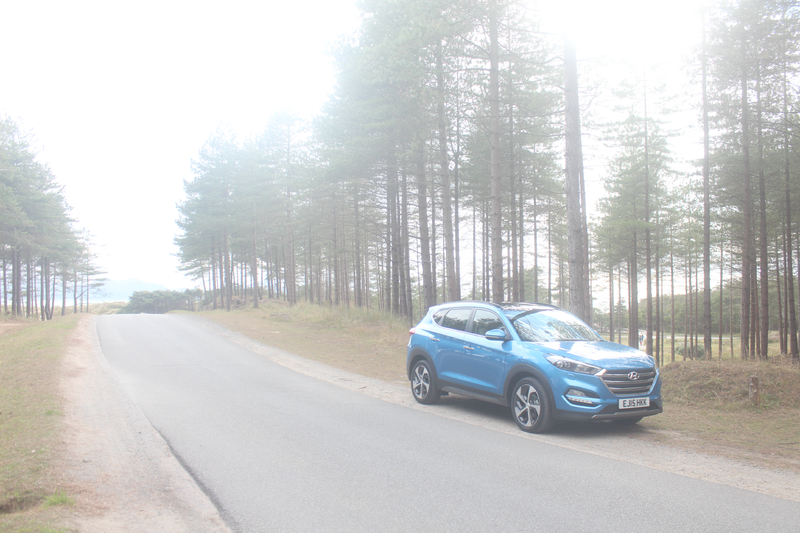 The Tucson has to be one of the easiest cars I've ever driven and I've had my fair share of cars over the years. It drove so smoothly and there was barely any noise. 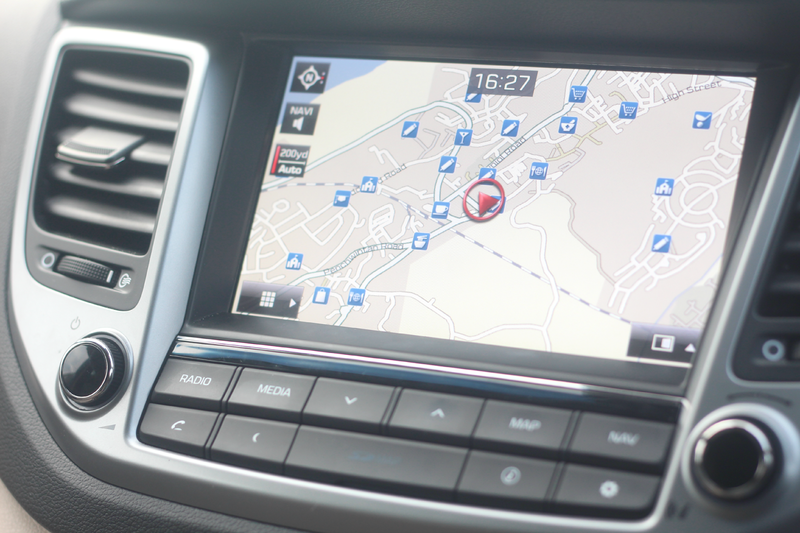 The lane assist was useful for keeping in lane and will beep if you start to wander so this would be great if you're commuting a lot or on long journeys and get tired and it will also let you know if you're getting too close to the car in front. 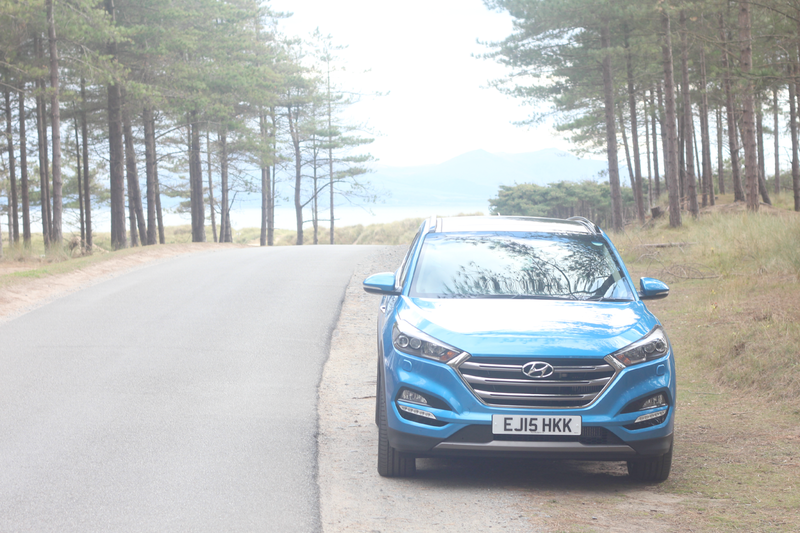 Overall we really enjoyed driving the Hyundai Tucson and were really impressed with all of it's amazing features! 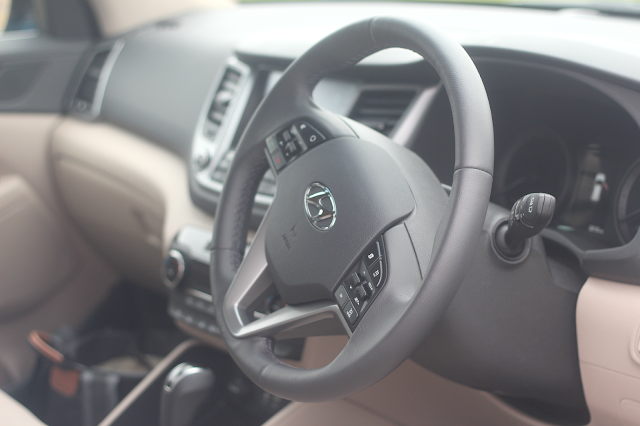 It was wonderful driving a car which is aimed at families yet doesn't compromise on style or technology. 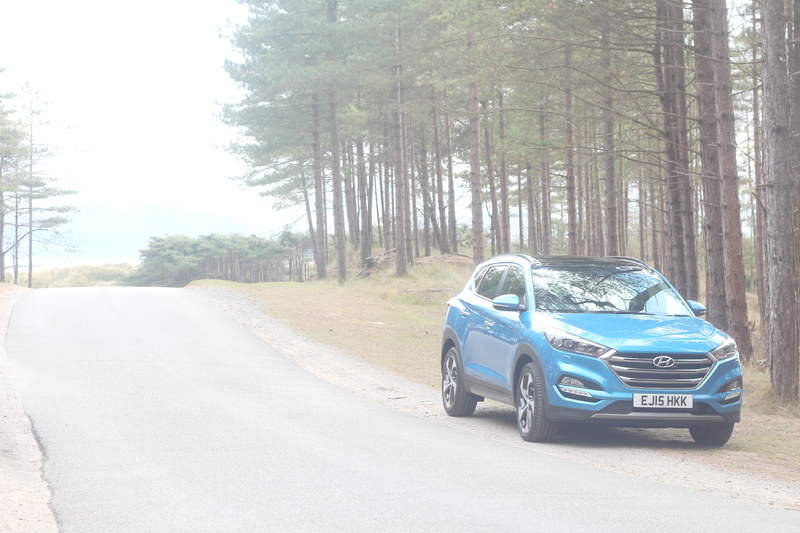 There are so many great features which makes driving the Tucson so much smoother and took a lot of stress of driving with children away. 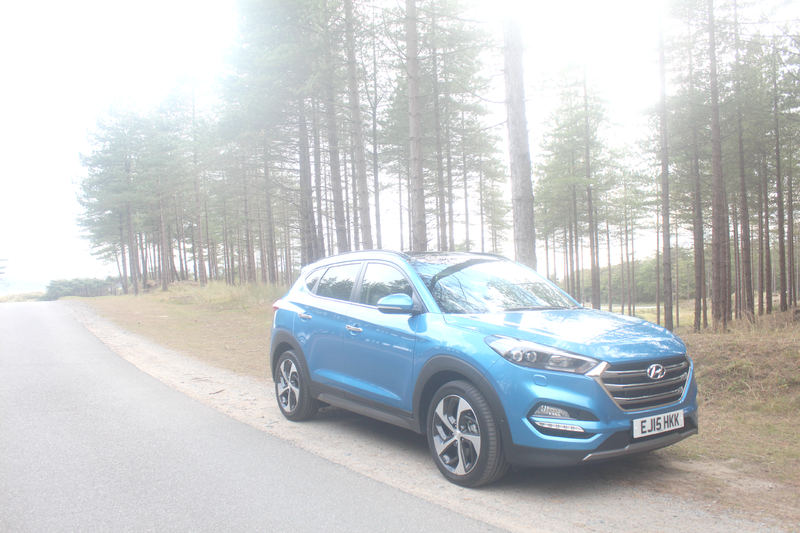 The Tucson is a superb family car for those everyday family errands as well as long journeys. 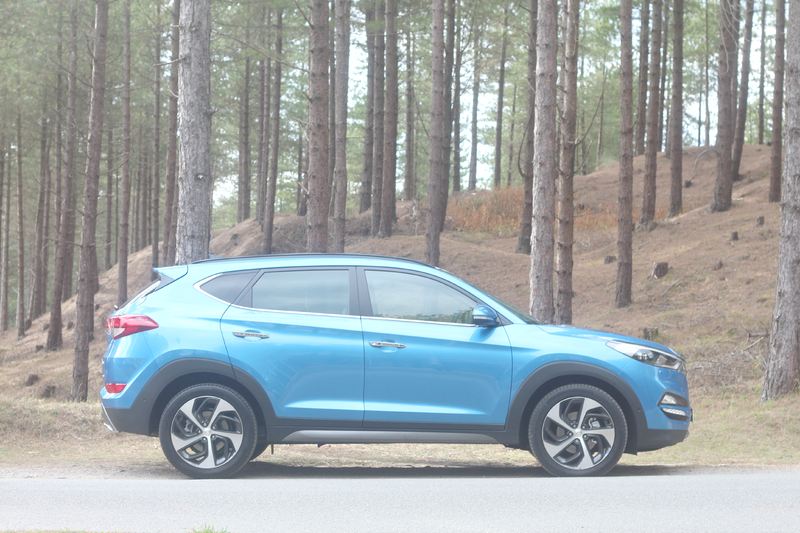 If you're looking for a new spacious family car I would highly recommend looking at the All-New Hyundai Tucson SUV, you won't be disappointed. I just had to share some more photos of the car and show of it's exterior! The "Ara Blue" colour definitely is eye catching to say the least! 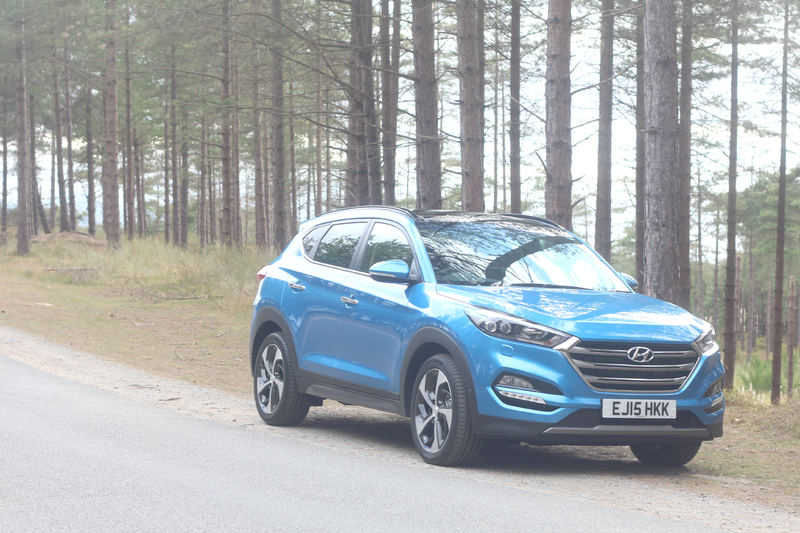 The Hyundai Tucson is available to purchase from £18,895 and if I had that much sitting in my bank I would totally go out and buy one today!! Sadly, I can only dream that I will own one some day! This looks like a pretty epic car! I love the parking feature. Our Range Rover needs a rear view camera. It's got sensors but that doesn't give a very good view if you know what a mean. Beautiful car. You're so lucky. I love it! Such a stunning colour and it looks like you really enjoyed it. Get playing the lottery!! I can't believe the car can park itself, that is mental! This looks so gorgeous. I got an automatic last year and was so nervous the first time I drove it but I love driving automatics now! Wow that car looks amazing and I absolutely love love the color. We are needing a new car in March and I just don't know what I want next. Great for family adventures for sure.